And just in time, Cindy Connor, a sustainable agriculture instructor at the Western Campus, has written and produced a video entitled Cover Crops and Compost IN Your Garden. The video covers the growing season from March through November. Ms Conner ‘s video describes different kind of cover crops and how they can be used to enrich the soil in the garden. She explains that the root systems add nutrients to the soil and that it is not necessary to till in the cover crops to reap their benefits. She demonstrates cover crops that can be used like mulch to protect garden plants and prevent weeds; others can be cut down to feed the compost pile. 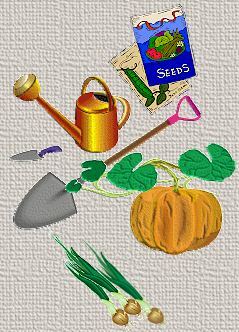 This information is valuable whether you have a small vegetable plot or garden on a grand scale. Check out this video from the Western Campus library’s popular video collection.